TARA STRONG joins TOGM; bid on a LAUREN FAUST commish! The Old Grey Mare is delighted to welcome you to an incredible once-in-a-lifetime opportunity: Getting YOUR PONY drawn by LAUREN FAUST herself! But the epicness doesn’t stop there. Join The Old Grey Mare and co-host TARA STRONG (yes, the voice of Twilight Sparkle, Bubbles, Harley Quinn, Dil Pickles, Raven, Princess Clara, Toot Braunstein… need we go on?) as they interview a star-studded cast of the hottest fan VAs, plus several pro VAs who got their start in the fan VA world. Plus, did we mention Ms. Faust may make an appearance on the show itself? You won’t want to miss this! And it’s all for a great cause: All proceeds from the charity auction for the Lauren Faust commission will benefit the Wildlife Learning Center, per Ms. Faust’s own request. The fun starts at 8PM Eastern US / 5PM Pacific on Sunday, January 11, 2015. A link to tune in will be posted on the top of The Old Grey Mare’s website approximately 10-15 minutes before the show. • revler897, fan voice of Discord. That’s right, EIGHT amazing VAs, all being interviewed by TOGM along with the Queen of Bronies, the woman of a thousand voices, Tara Strong. This is going to be one for the record books. So be sure to set aside that time slot! Sunday evening, January 11, 2015, 8PM Eastern US, 7PM Central, 5PM Pacific… be there! Q: Do we have to vote on everything? A: No. The only required votes are the last page which is the show related voting. Any of the ‘Nasties’ or the Fandom Community Awards can be ignored if you don’t wish to vote or don’t know which to vote for. Q: Hey! I really like ‘X’ and it’s not up for voting! Q: Why do you have ‘Nasty’ Awards? Isn’t that mean/rude/against the show’s spirit/HULK SMASH! In keeping with a long standing tradition, Celestia Radio is thrilled to announce our third annual Best Songs of the Year countdown extravaganza. Join the CR staff as we look back to an incredible year of musical production in the brony fandom, and highlight fifty songs in particular, each painstakingly evaluated and compiled by a team of Celestia Radio’s best DJ’s. This twenty four hour event kicks off right at midnight on Tuesday, December 31st, (EST) with songs being announced up to the culminating top ten of 2013 which will span the last hour of 2013, all leading to the announcement of the #1 song right as the ball drops in NYC! All are invited to join CR once again for this monumental event, so please stay tuned to our website for more information, http://celestiaradio.com/ We look forward to seeing you in the chat on Tuesday! “The culmination of months of writing and recording, “Autumn Nights” is a concept album by Jeff Burgess & The Bad Mares. It follows the life and career of Vinyl Scratch, and all the challenges of turning her dreams into reality. With a range of music from indie rock to folk punk to chiptune to lounge jazz, there’s something for everyone in “Autumn Nights.” The album also features the creative contributions of various artists from the Brony community, including Rina-Chan, Acousticbrony Edd, Feather, Digibrony, BassBeast JD, Steven AD, Mountain Mares, Griffinilla, Memj0123, and Jeff Himself! Join us live on New Years Day for this incredible premiere. The party starts at 7:00pm (EST)with a live play through of the album, as well as guest interviews with Jeff, Feather, digibrony, MEMJ and any other available musicians! Tonight on True Equestria Radio, writer Dave Polsky joins the roundtable of True Equestria Radio, answering questions from live callers just like you! It’s sure to be a great time, so don’t miss your chance to bug the writer who wrote Daring Don’t and other episodes! Call in at midnight Eastern, either by phone, toll-free, at 714-888-7471 or by skype right HERE! You can also tune in on Fillydelphia Radio on Ponyville Live. 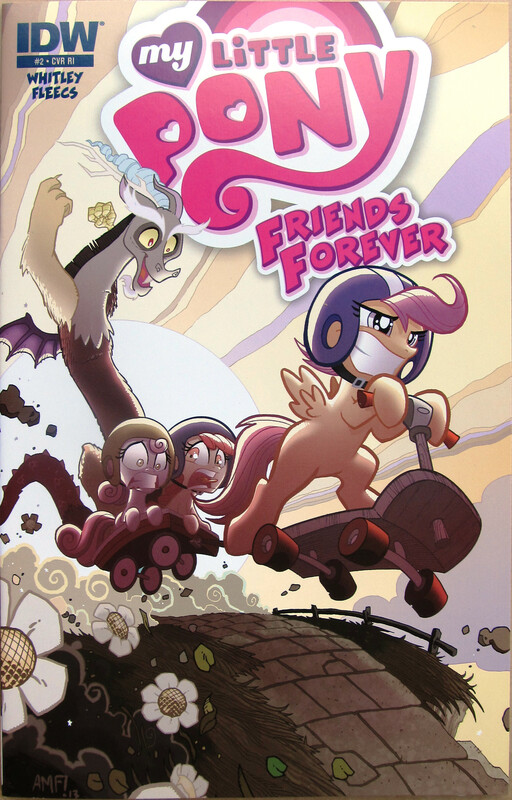 BronyTime Episode 56: Jeremy Whitley will write MLP comics For-EVER…! December 15, 2013, 5:00 pm EDT My Little Pony Comments Off on BronyTime Episode 56: Jeremy Whitley will write MLP comics For-EVER…! Head on over to their website to watch the interview. It’s that time of year! No, not the holidays! It’s time for all of those frivolous end of the year discussions and awards! And Bronyville Podcast is celebration the 2013 Golden Muffin Awards Show on December 28th. And this year, to spice things up, we’re opening up the nominations to the entire fandom. So, feel free to vote away to nominate in any of the following categories. But act fast! Nominations will end on the 19th of December and voting on the finalists will begin. Good luck and may the best pony win! Categories after the page break.